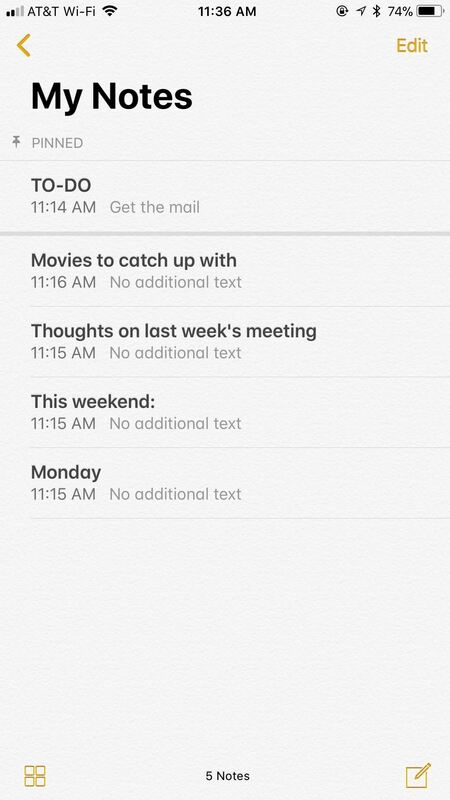 If the Notes app on your iPhone is anything like mine, it's a mess. 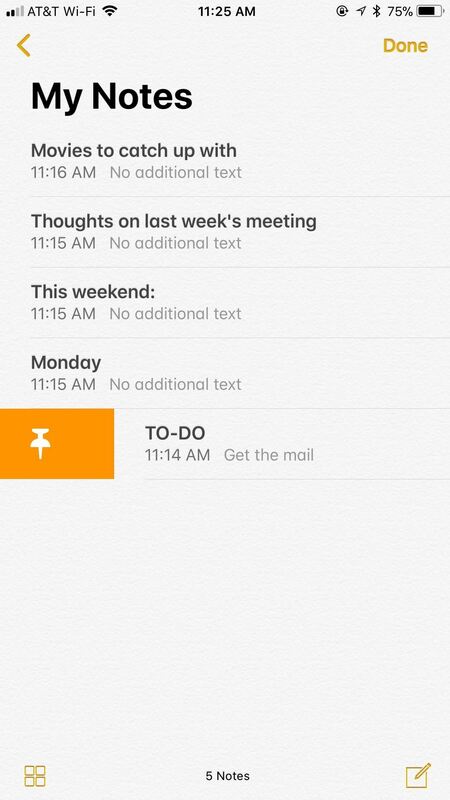 Even with the addition of folders, adding note after note can really clutter things up. You need a way to quickly identify the notes that are most important, and that's where pinning comes in. Locate the note you want to pin, then quickly long-swipe it from left to right and release. 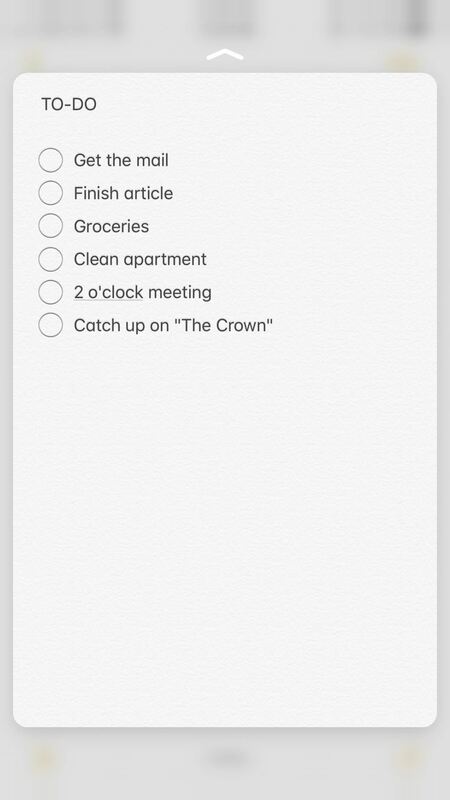 If you did it right, the note will automatically be pinned to the top of the folder. If you swipe it from left to right slowly and let go, an orange pin icon will appear on the left, and you can then tap on that. Alternatively, on iPhones that support 3D Touch, you can soft-press to "peek" at the note, then quickly swipe up without releasing your finger to access a menu of options. 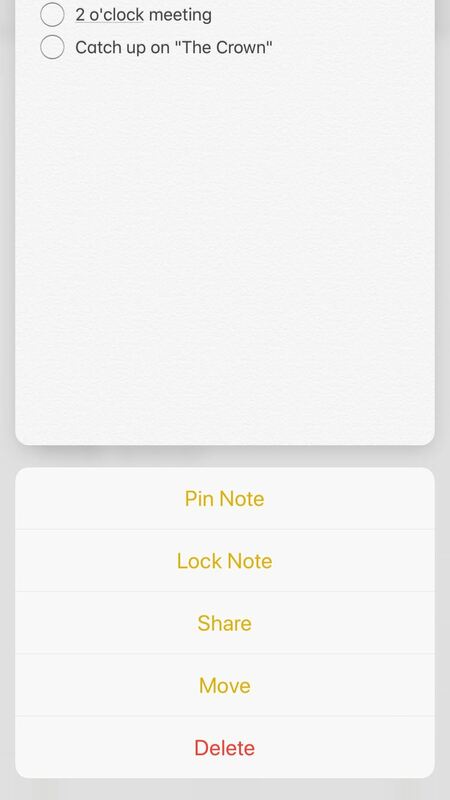 Tap on "Pin Note," and it will be pinned to the top of the folder you're in. 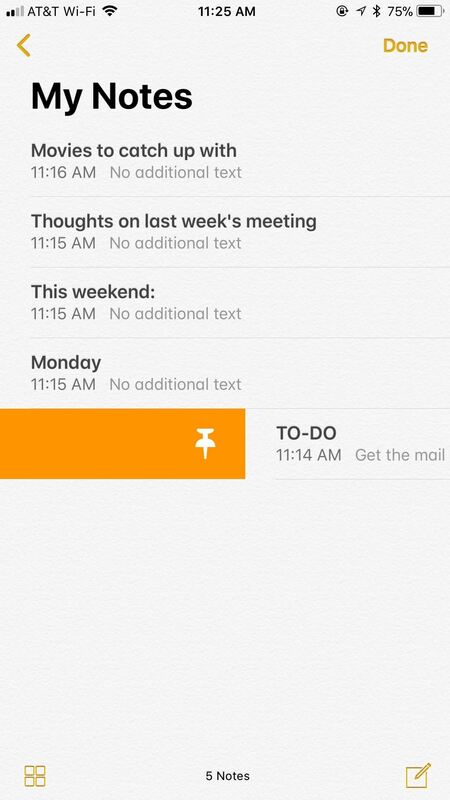 Once pinned, notes have their own subtle Pinned section up top, separated from all the other notes below. This section will appear in the folder those pinned notes are contained in, as well as in the "All [Account Name]" folder, which contains all notes connected to a specific account (iCloud, Gmail, On My iPhone, etc.). To unpin, simply perform any of the above actions. Swiping fast will unpin immediately, swiping slow will give you the unpin button, and using 3D Touch will replace the "Pin Note" option with "Unpin." If you unpin all pinned notes, the Pinned section will disappear. News: Do you have a problem with your colon?